VATICAN CITY (CNS) — The Pontifical Commission for the Protection of Minors has launched a beta version of its website in English and has included its template for local guidelines on preventing sexual abuse, resources for a day of prayer for the victims and survivors as well as a mailing address to contact commission members. The website — www.protectionofminors.va — eventually will include versions in Spanish, Italian, Portuguese and French, the commission said in a statement Dec. 6. 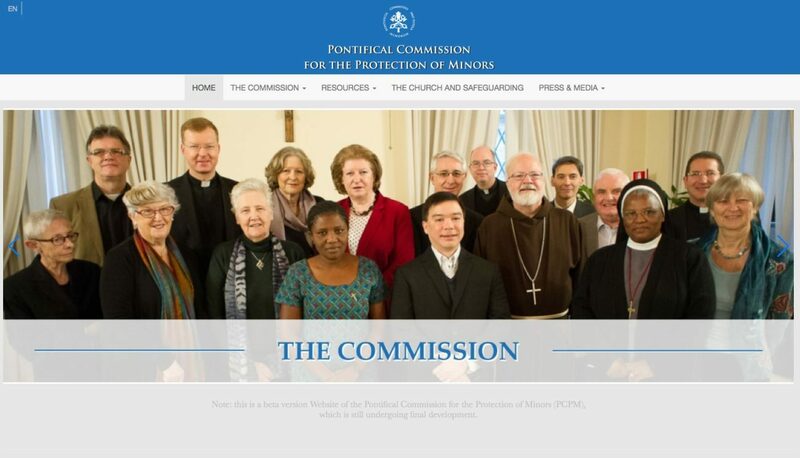 Pope Francis’ international Council of Cardinals identified the protection of children and young adults as one of the church’s priority needs and suggested in December 2013 that he create a commission to advise him and assist dioceses and religious orders around the world in drawing up guidelines, handling accusations and ministering to victims and survivors. Pope Francis named the first members three months later and appointed as president Cardinal Sean P. O’Malley of Boston.